Nomads, adventurers and respite-seekers are now welcome to a secret retreat in the Mexican jungle. Located on Tulum's most lively stretch on the main beach road yet set in the secluded jungle, the house is nestled amongst a swaying sea of lush emerald palms. The white concrete house was created by local craftspeople in collaboration with an international design team, where sustainability was the key concept. Those seeking unique genuine experiences, exploring, tranquility in an enigmatic scene, a real-life detox or a honey moon scape should stay and discover the local traditions, enjoy the culture, food, music an rituals. Tulum TreeHouse is a full-service jungle escape. Book your stay here. Interior designer and stylist Annabell Kutucu collaborated with Co-Lab, transmitting her unique sensibilities for organic earthiness. 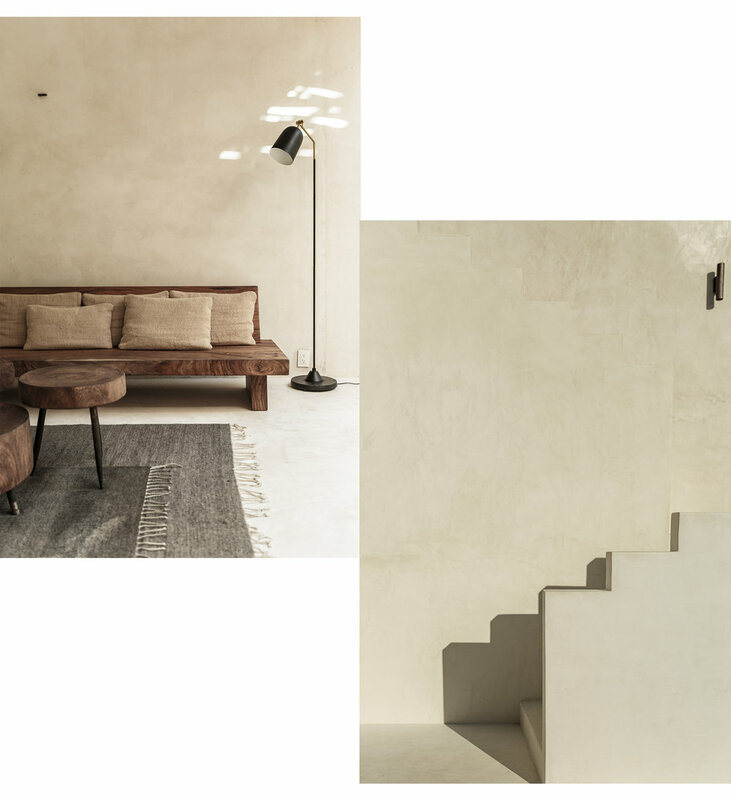 The concrete house counts with furniture from Jorge and Rita, handwoven baskets by Rosalinda, Oaxacan ceramics by La Chicharra, and textiles by Caravana. The rooms feature Oaxacan rugs and bespoke furnishings by Meridian artisans.